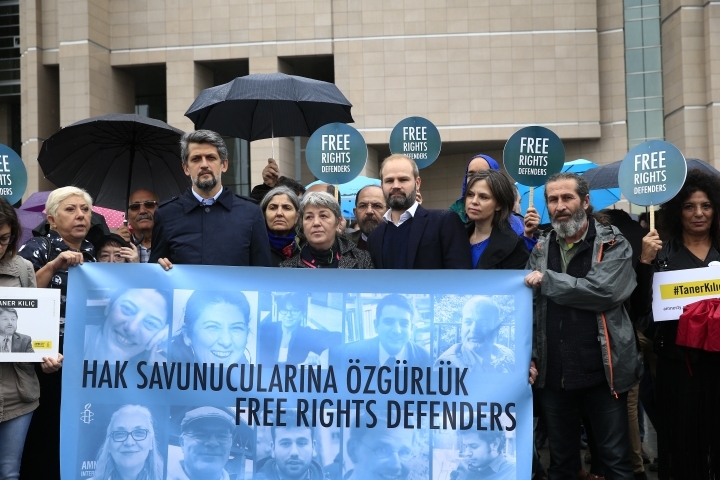 Turkish media reports say a court in Istanbul has ordered eight human rights activists released from prison pending the outcome of their trial on charges of belonging to and aiding terror groups. The defendants, including Amnesty International Turkey director Idil Eser, German citizen Peter Steudtner and Swede Ali Gharavi, were detained in a police raid while attending a digital security training workshop in July. Their cases have heightened concerns of an authoritarian turn under Turkish President Recep Tayyip Erdogan. The Dogan news agency says the court ruled Wednesday to allow the release of eight of 10 activists being tried in Istanbul. A researcher for Amnesty International in Turkey says human rights groups are hoping 11 staff members and activists being tried for aiding terror groups are released from jail. 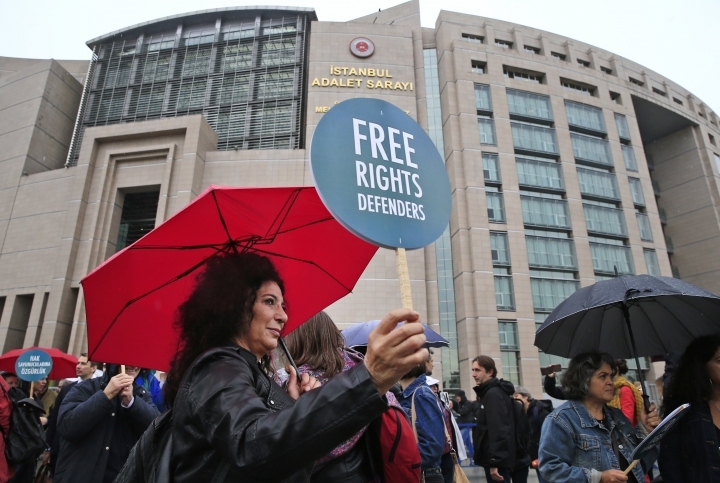 Andrew Gardner, Amnesty's Turkey researcher, told The Associated Press on Wednesday "there is not a shred of evidence against the 11 human rights defenders on trial today." 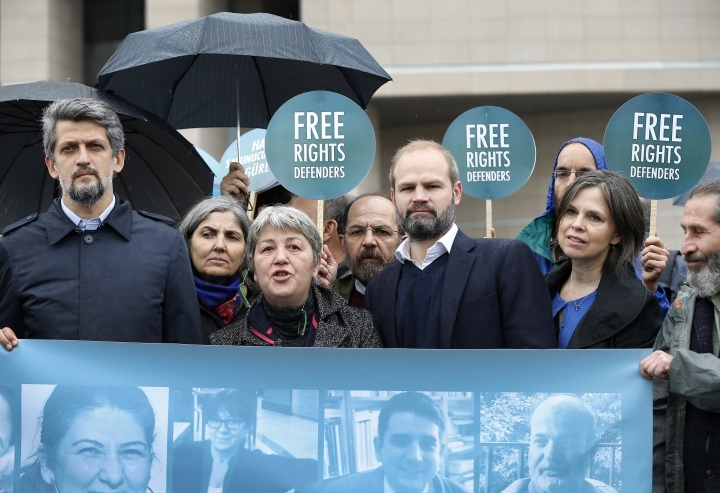 Gardner says human rights groups in Turkey have been working under difficult conditions for some time, but the arrests of one Amnesty International staff member in June and 10 other human rights workers in July amounts to an escalation of the repression. 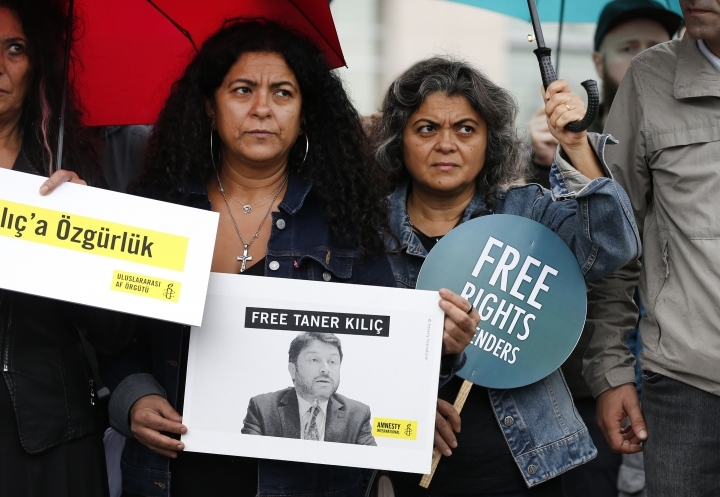 Ten of the activists including Amnesty's Turkey director Idil Eser, German national Peter Steudtner and Swede Ali Gharavi were arrested during a security workshop at a hotel on an island off Istanbul in July. 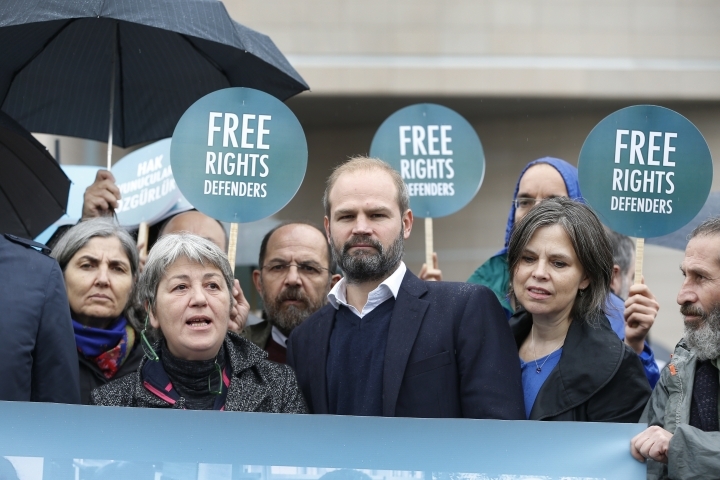 Eleven human rights activists, including the two local heads of Amnesty International, are going on trial in Turkey, accused of belonging to and aiding terror groups. They are accused of aiding Kurdish and left-wing militants as well as the movement led by U.S.-based cleric Fethullah Gulen, blamed for last year's coup attempt. Amnesty's Turkey chairman Taner Kilic, who was imprisoned separately in June, goes on trial in Izmir city for alleged links to Gulen. 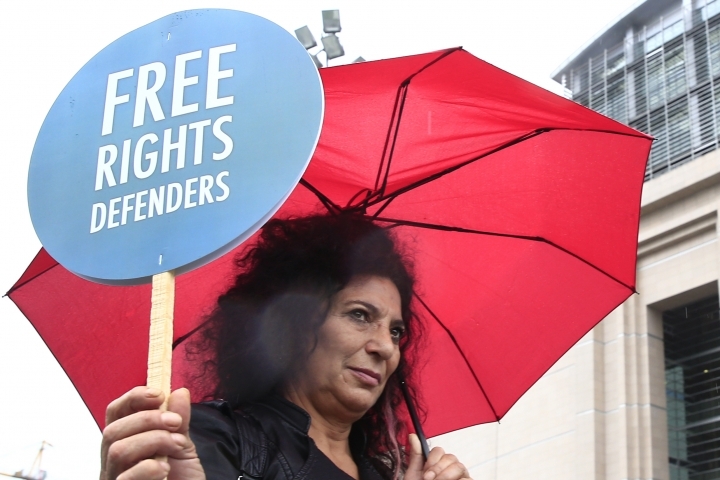 Human rights groups say the defendants, who face up to 15 years in prison, have been accused of "trumped up" charges.